After breakfast and move to Thekkady (120 Kms / 4 Hrs). Check into Hotel at Thekkady. After refreshing go for a spice plantation Tour to see crops of cardamom cinnamon, pepper, coffee, tea estate (Optional) & later for boating in the Periyar lake- its centre piece of Periyar Wildlife sanctuary also Periyar Tiger reserve, man made lake of the height of 2000 ft, enjoying view the wildlife at the Periyar tiger reserve (Optional). Later return to hotel for overnight stay in hotel. After breakfast drive to Kumarakom (145 Kms / 4 Hrs) the lush green vegetation and the climate attract a number of tourists to this place. 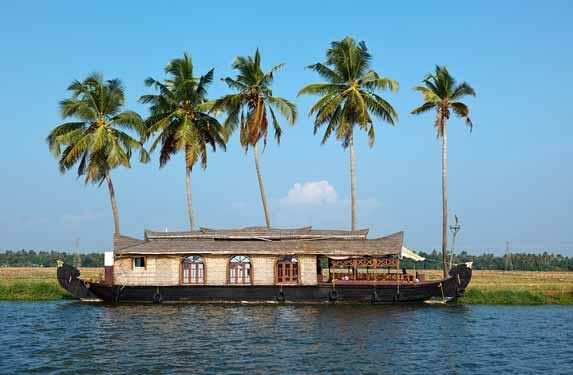 On arrival at Kumarakom visit the Kumarakom Bird Sanctuary and later check in at hotel in, Evening go for Sunset cruise (optional) or enjoy the beauty of backwater with lovely views all around by just relaxing near Vembanadu Lake and overnight stay in hotel. After breakfast free till your flight / train time. Transfer you to airport/ railway station for your further destination.